All our doors are built on the ​Rehau Brilliant profile and are made directly in Europe ensuring top quality. 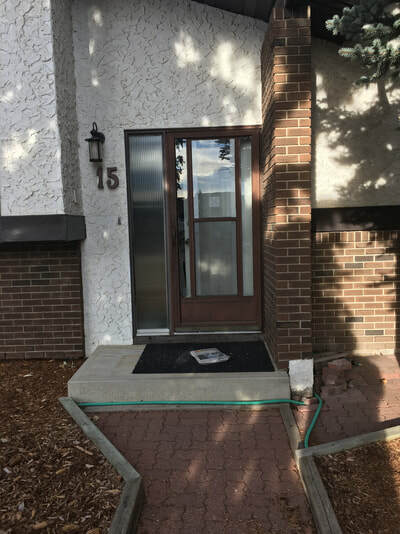 This, along with our modifications we made to the profile make our door more then able to tackle the Canadian climate and is sure to impress anyone who is looking for a better door. 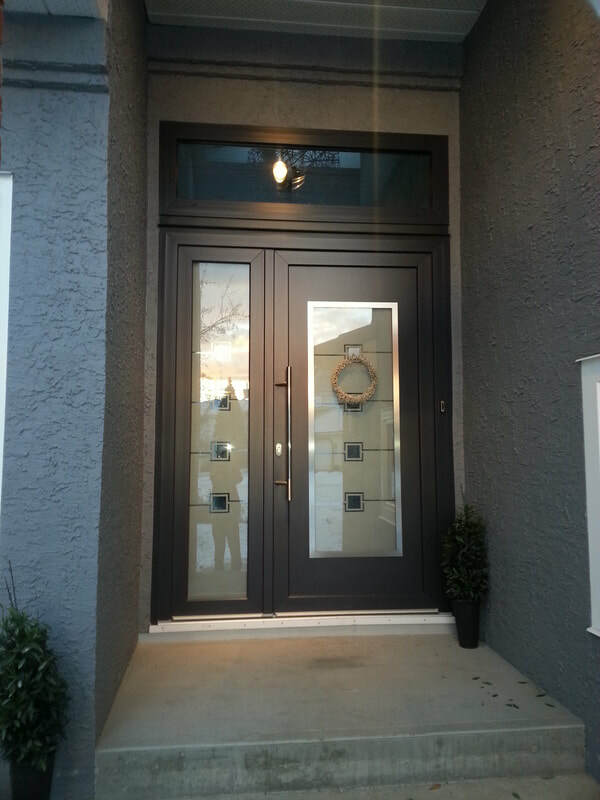 All our doors have been NAFS-08 tested and came back with impressive results. If you want to take a look at our results we will be pleased to show you, just contact us and ask! Steel reinforcement runs through the entire profile, making the door extremely stable and secure. 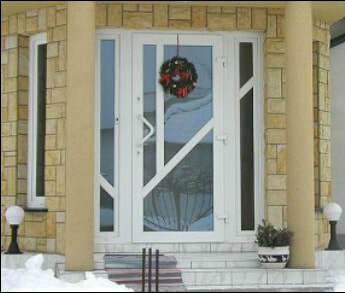 Doors are extremely versatile, as they can be manufactured to open inwards or outwards, and have one or two sashes. Sidelights can be equipped with hardware to make them open, which allows for more ventilation. Standard: low aluminium threshold, double handles, locking gear with multi-point locking (including the cylinder lock), four surface hinges. Our compression seals (there are two on our door profiles) ensure an air tight seal when in closed position. As the seals are closed by compression rather then friction, our doors can completely eliminate air/water leakage. 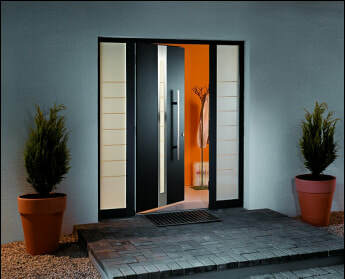 Our PVC doors can be made with other windows, so they will part of one unit. Customizable doors with traditional or modern patterns; with full glass, partial glazing or without glass, the filling can be plain or carved (with vertical, horizontal or diagonal notches). Over 700 door panels for you to choose from ensuring that your door is one of a kind. 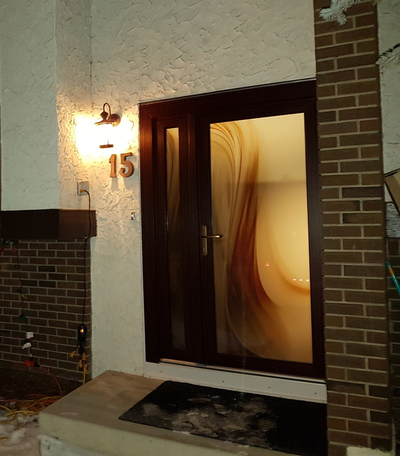 Various kinds of glass can be used in entrance doors, among basic glass-units there are: safety-glass, coloured glass, ornamental glass, reflective glass and others.